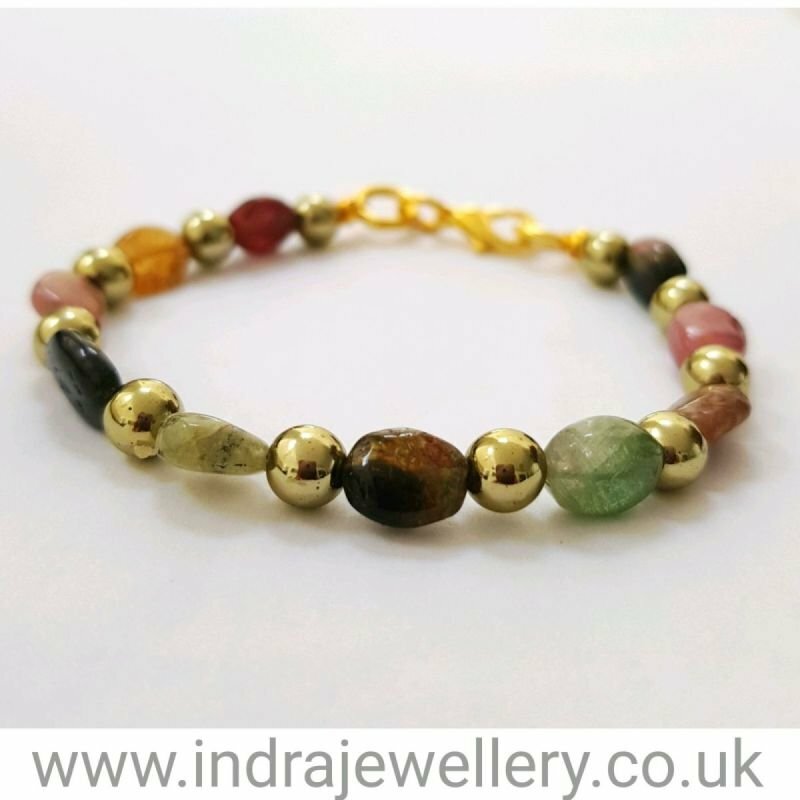 This is a really pretty little bracelet, the gemstones are watermelon tourmaline which naturally are a gorgeous range of greens, pinks and browns, I have seperated them with little gold spacer beads. The bracelet measures approximately 6.50"
Watermelon tourmaline is said to attract love and resolve issues in relationships! it is the match maker of the stones!